The arts and culture face a number of challenges and opportunities in the 21st century as new technologies affect the production and distribution of goods and services; new patterns of migration emerge; and national contexts constantly shift with austerity measures and requests for reform. At the same time, artists and culture operators aspire to extend their impact to other sectors, while striving to ensure freedom of expression and cultural diversity. New models of cultural leadership are more important than ever as we work to affirm the arts and culture as pillars of social development. At a time when the notion of participatory governance is prevalent, no decision can be made without the involvement of multiple stakeholders, and the tradition of top-down leadership is no longer the only model. 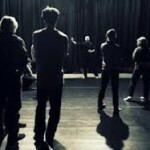 Artists, networks, advocacy groups, and professional organisations play an increasingly important role in engaging people, debating the issues, and proposing solutions to the challenges of our times. The Summit will explore changing perceptions of leadership and address a number of questions: What are the issues? How are decisions being made, and by whom? How is leadership defined in different cultures? How can governments and civil society collaborate? And where do we go from here? 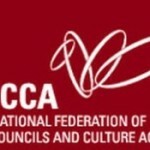 The International Federation of Arts Councils and Culture Agencies (IFACCA) is the global network of arts councils and ministries of culture and has members in 70 countries. 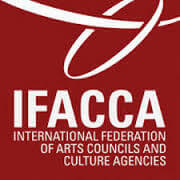 Created in December 2000, IFACCA’s headquarters are located in Sydney, Australia. IFACCA’s Strategic Plan outlines how it will continue to provide high-quality services and value to its members in today’s fast-changing, interconnected world. IFACCA Strategic Plan 2015 – 2020 is available here in English, Spanish, and French. A world in which arts and culture thrive and are recognised by governments and peoples for their contribution to society. 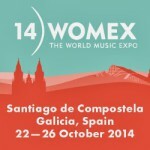 To support members to succeed and be a global voice advocating for arts and culture. In 2015–2020, IFACCA will deliver its services through four core functions in which are embedded its values as an organisation. Interrelated and complementary, these core functions generate a range of outputs – from events and tailored programmes to international dialogue and informed commentary. Underpinning this delivery approach is IFACCA’s commitment to responsiveness. That means being aware of the contexts and interests of its diverse membership of government and cultural agencies; engaging with key partners and civil society on critical matters affecting arts and cultural policy; and seeking innovative and efficient ways to fullfil its purpose.